Salvatore’s TED experience began when he was 15 at TEDxUbud in Bali where he spent many of his early years. 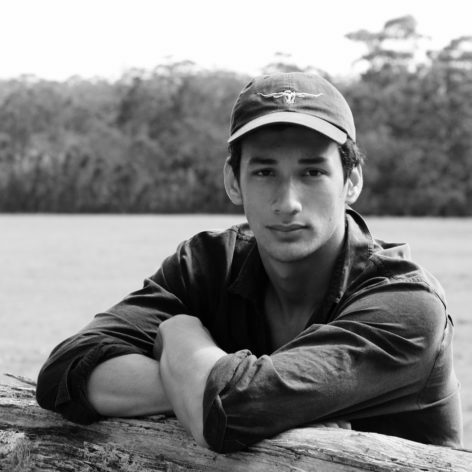 Now 19, he is the youngest Curator of TEDxSydney’s youth event- TEDxYouth@Sydney, where he has contributed to growing the event from 600 participants to over 2500. He enjoys hearing ideas about business, political science, perseverance, networks and how things spread, young people, and death and saying goodbye. Salvatore’s currently in his first year of a commerce/law degree, as he believes entrepreneurship and ideas are what it takes to solve tough problems. He is mentored by Rob Small from Apple, Fenella Kernebone from TEDxSydney, Vasili Hatzis from Goldman Sachs, Phil Latham from Navis Capital, Andrew Hall from the Commonwealth Bank, Matt Sinnamon from the Eclipx Group and has received advice from Dame Marie Bashir, the former Governor-General of NSW. Salvatore interns at the Parliament of Australia and is fluent in Bahasa. He has one brother, Moe Aljaidi- an aerospace engineering enthusiast.